Less than 3 weeks? Really? 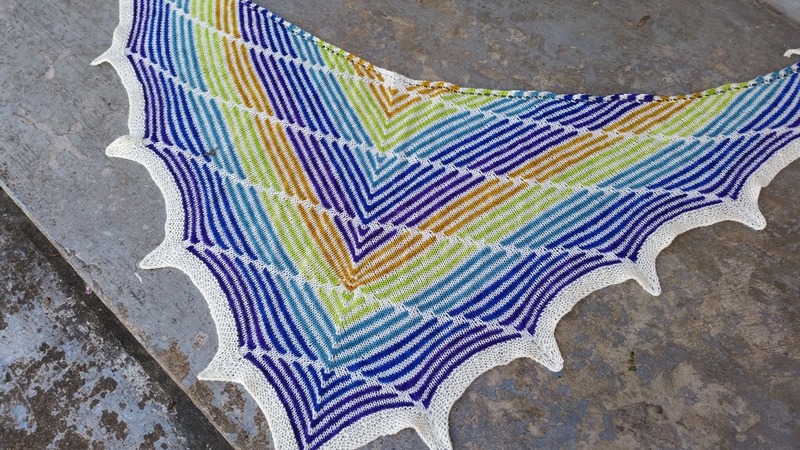 My Bocce Shawl is finally finished and I just love it! 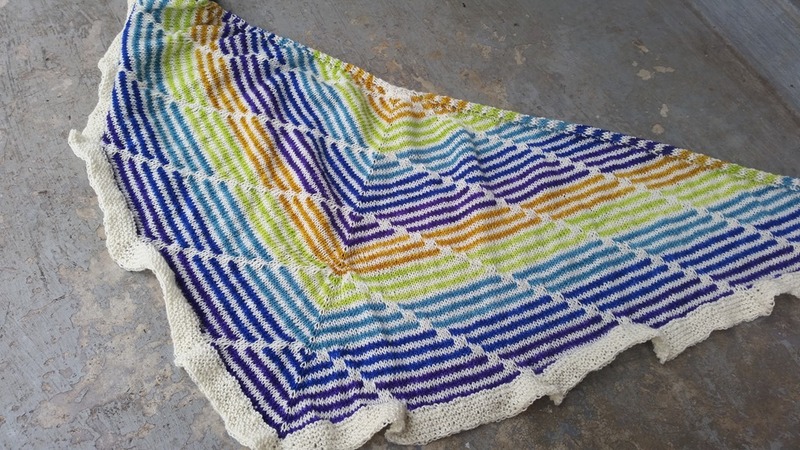 I can’t believe I knit this in less than three weeks! 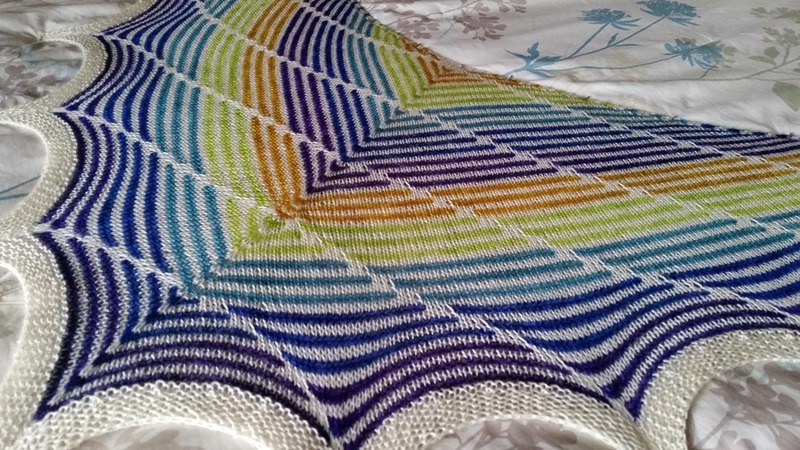 My Ravelry project page reveals that I cast on on January 23 and finished on February 11. Trust me I only get time to knit for an average of an hour a two a day so I can’t explain it. I guess it practically knit itself. This picture shows how it looked just off the needles. Now I know what you are thinking. It looks fine right? What you may not be able to tell is that there are points on the border and it’s not it’s full size. For that we must block it. For this design I blocked more aggressively than I normally would to really stretch out the points and set the stitches to rights. This a rather fine gauge yarn knit on size 6 US needles so it needs this to smooth out the fabric nicely. Now, see! Just look at the difference that made. 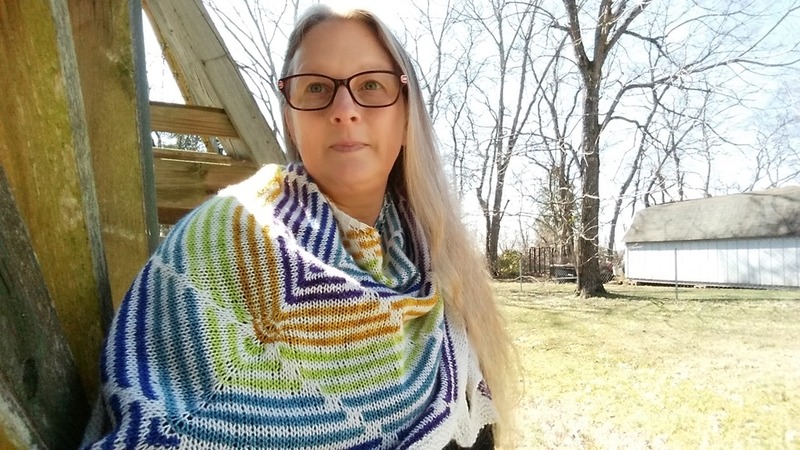 I usually wear shawls like a scarf, and this works great with this design. It’s pretty casual looking so it’s perfect for everyday wear. It’s so cheery with it’s colors that it brightens up your winter wardrobe but will wear right into spring and summer too. It is large enough to wear around your shoulders as a wrap. I had a hard time photographing that by myself though. 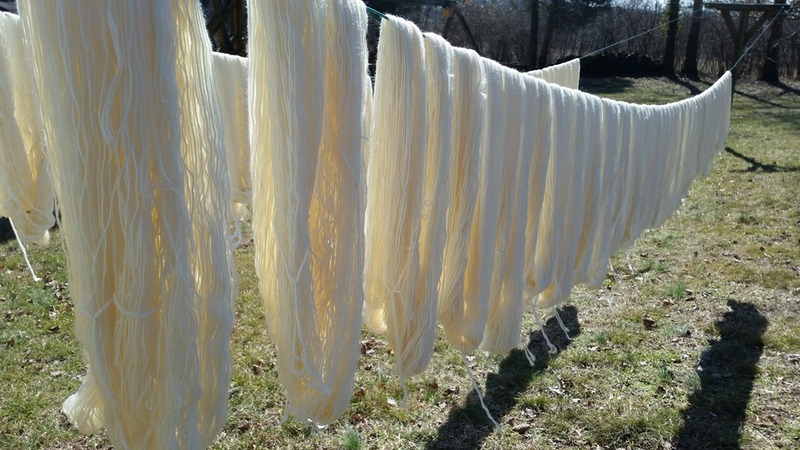 I have the yarn all ready to assemble the kits as soon as I get the patterns printed. 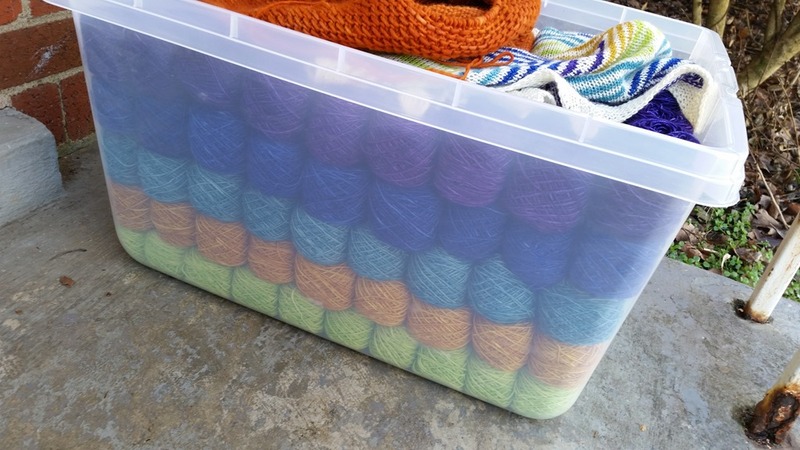 I soaked the Bare yarn and it is all labeled and ready to go as well. So, the kits should be on the website within the next week. 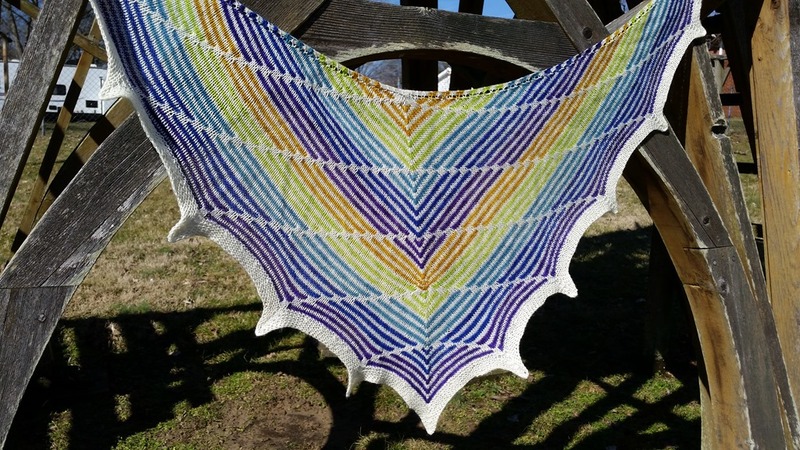 The kits and the sample shawl will be making their debut at the Pittsburgh Knit & Crochet Festival the first weekend of March. More details coming in my next post. See you soon!